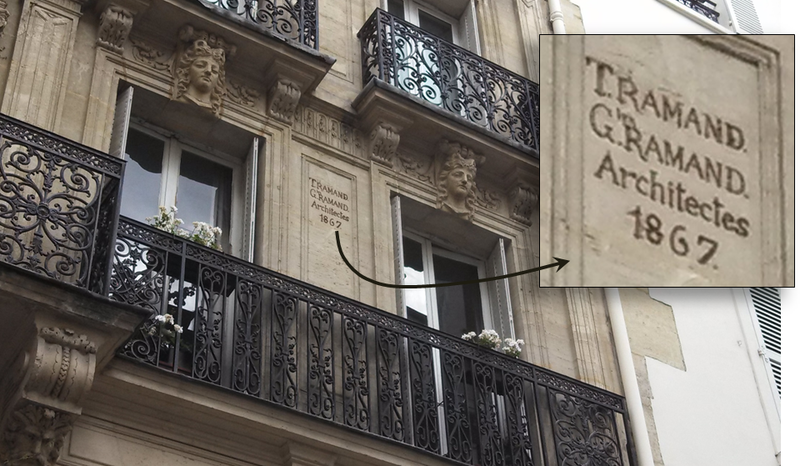 Actually, although the last leg of the race finishes in Paris, it starts in Versailles, quite a way outside the city (near my office, in fact). Only the last hour or so takes place in the heart of the city, where the riders do several laps around the Louvre and Arc de Triomphe, and finish at sunset on the Champs-Élysées. Around 9 pm (sunset is late this time of year), I got a call from my friend James, saying that the riders were just arriving – earlier than expected – and that we’d need to hurry if we wanted to catch them. I was just getting out of the shower (trying to cool down in the recent heat), so I threw on some clothes and headed out. 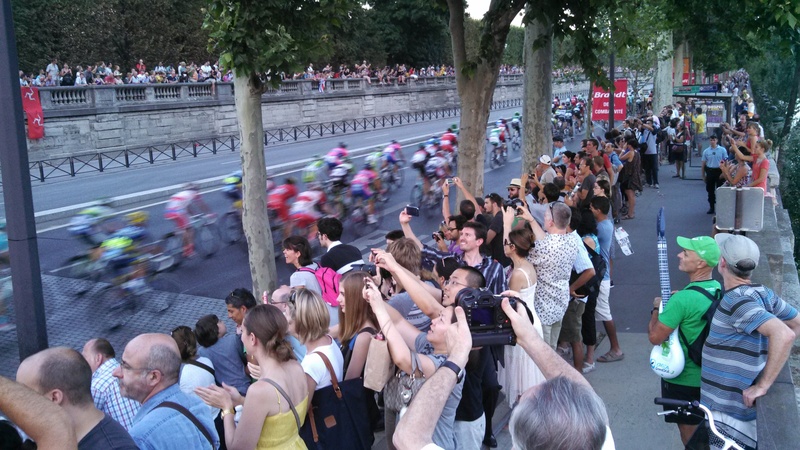 We grabbed bikes from the Velib station in our neighborhood, and pedaled over to see the last couple laps. Race or no race, it is always nice to be riding around the city at dusk. The low sunlight really brings out all of the contours and minute details in the architecture, and it lights up the gold trim on the buildings and bridges to really punctuate the look. But that night there was an extra buzz in the air – an excitement superimposed on the age-old setting. 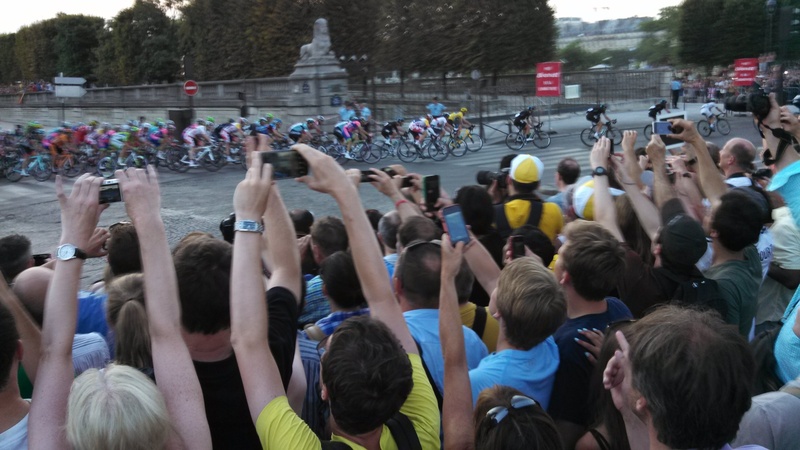 Unlike on Bastille Day, there were people everywhere with flags or yellow jerseys, singing or cheering for the riders from their respective countries. 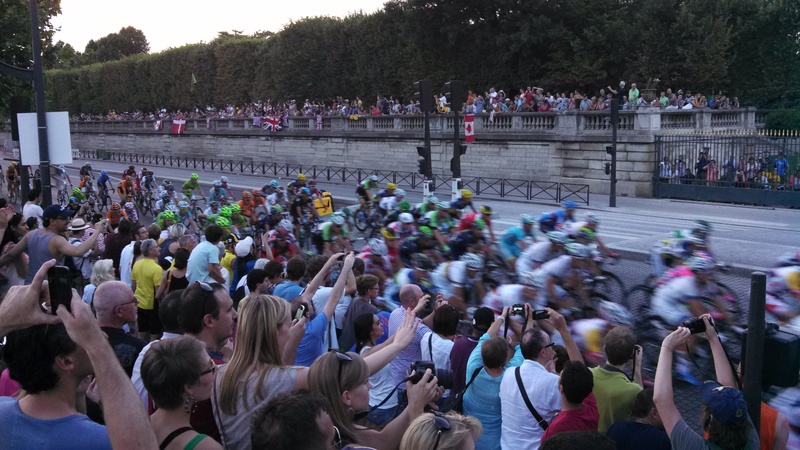 James and I both live very close to the Louvre, so within a couple minutes of leaving our places, we were standing on a corner watching the pack of riders fly by. We were able to ride around to a few different places, and watch the race go past at different spots in the final circuit. Although we didn’t get close enough to see the finish in person (it would have been impossible with the crowds), we could see it on a big screen TV, only a few hundred meters away, and we could see the riders come past just after they’d finished. The thing that struck me most was the contrast implicit in hosting such a fast-paced and cutting-edge race in such an established and timeless city. You have hundreds of these highly-trained (and yes, probably drugged…) riders, on the newest and lightest bikes, wearing all kinds of loud colors, and they are whizzing past you on stone-paved streets, in the shadows of somber and imposing buildings like the Louvre. The juxtaposition is impressive. The end of the race was a little anti-climatic, because the winning team had already been determined over the course of the previous legs (which I gather is pretty typical). So although people still got worked up at the final sprint, it wasn’t anywhere near commensurate with the race’s magnitude and reputation. But it was still exciting to be out watching the real thing, and seeing the riders cross the finish line. Every year on the 14th of July, the French celebrate Bastille Day, a holiday commemorating the success of the French Revolution and the rise of democratic ideals. 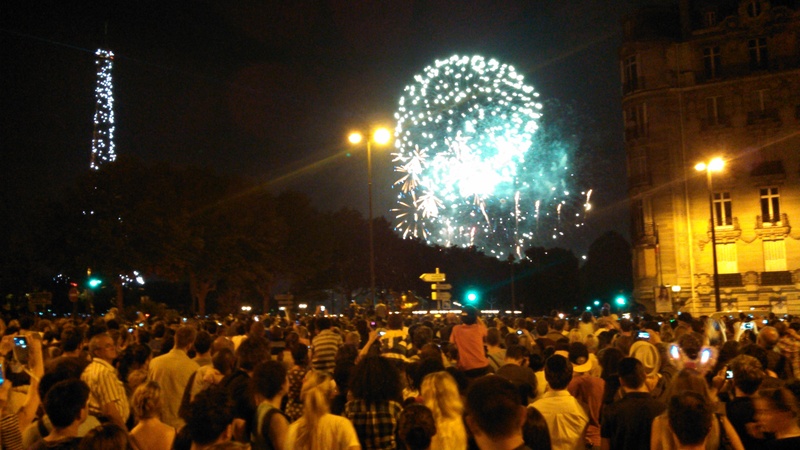 In both circumstance and substance, the holiday is very similar to Independence Day in the United States: both celebrate the move towards democracy and the overthrow of “old-world” governments in countries heavily influenced by The Enlightenment. Both are in July, and both are celebrated with a day off work, parades and fireworks. A few days before the 14th, a French friend (who’d been in the U.S. for the 4th of July a couple years prior) explained to me that the celebrations wouldn’t be quite the same as what I was used to in the U.S. for Independence Day, because there would be no overt displays of patriotism. No one would be wearing the national colors, flying flags, singing or playing patriotic songs, etc. The reason for this, she explained, was that these things were seen as “far-right” behavior, demonstrations of nationalist extremism. The prediction was right. 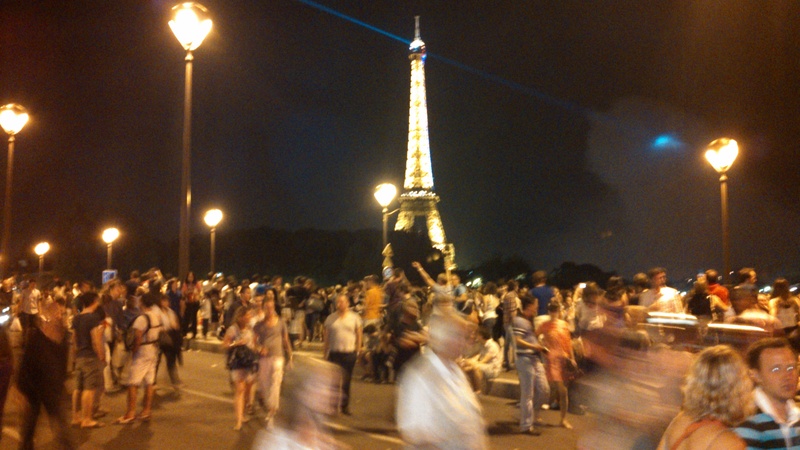 The whole day – even at the fireworks – I didn’t see a single person carrying a French flag, wearing France-themed clothes, or even wearing blue white and red. Although I did see a couple small flags hanging from apartment windows, there were still less than you would see on a normal day in the United States. While riding the metro to the fireworks with some friends, I did see a group of three young girls with French flags painted on their cheeks. At first I was excited by this – not because I think French should be more patriotic, but because (in light of what I’d been told), I assumed it was a kind of provocative political statement, and I was curious to see how others on the metro would react. 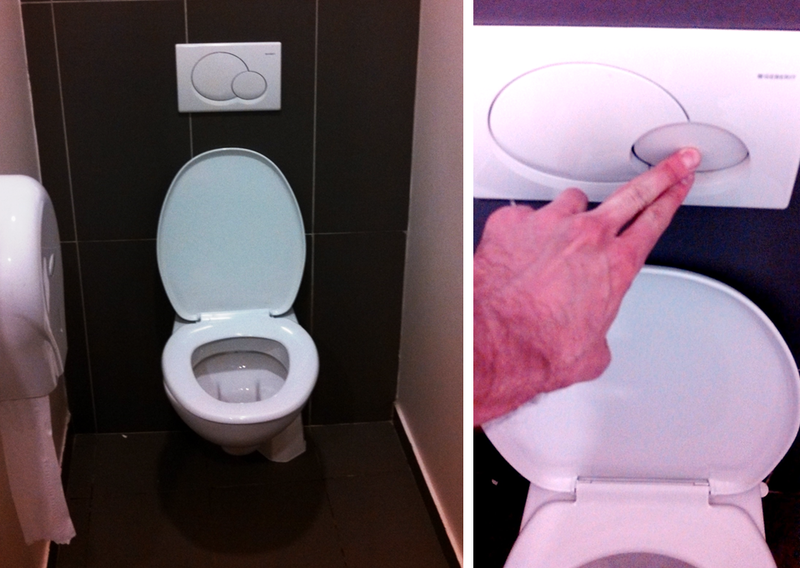 Would people stare? scoff? exchange words? – or even fight? But when the girls happened to take a place on the train right near us, and started talking, my excitement was immediately deflated – they were Americans! So the only outward sign of patriotism that I witnessed was nothing more than a projection of American enthusiasm onto the French holiday. While I am a little too new to France for my opinion to carry much weight, I don’t think that the French are un-patriotic people. I suspect that their national pride – which is very evident in their protectiveness of their language, their resentment of foreign competition, and other aspects of their culture – is simply overpowered by their liberal ideals. In any case, the fireworks were excellent. I’ve uploaded a few photos to my Picasa account, though in fairness to the France’s “fireworks reputation,” the pictures really don’t do them justice. 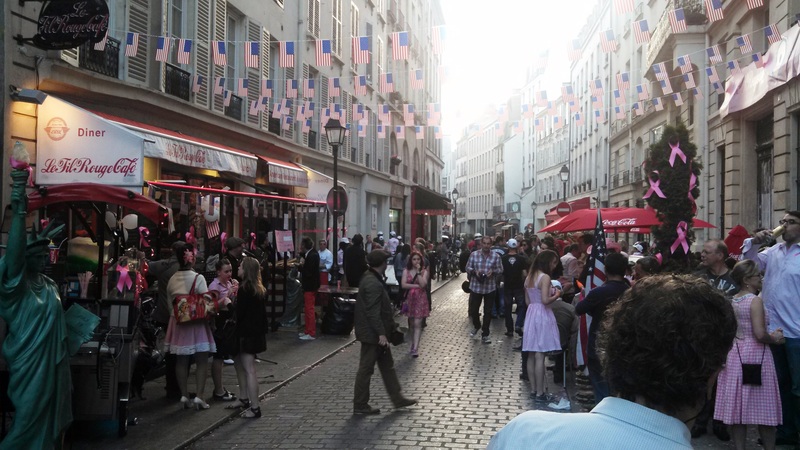 Today I was walking back from the one Chipotle in Paris with a friend (gotta celebrate American Independence somehow…), and we stumbled on this little 4th of July celebration outside of an American Restaurant. 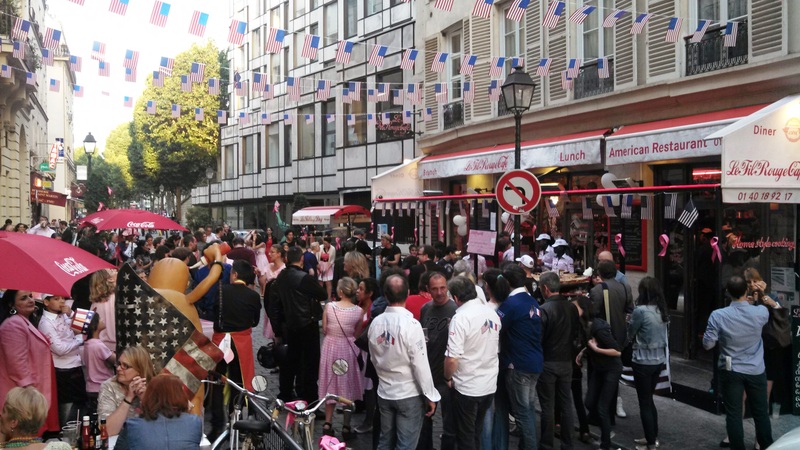 Everyone was dressed in 50’s outfits, there was live music, dancing, a mini statue of liberty, and – as you can see – plenty of American flags. 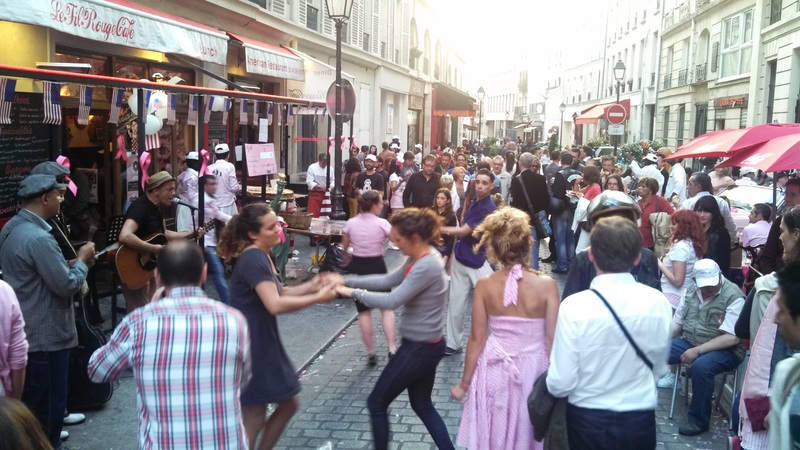 Check out the guy in blue dancing in the second picture. He could have stepped right out of Grease.